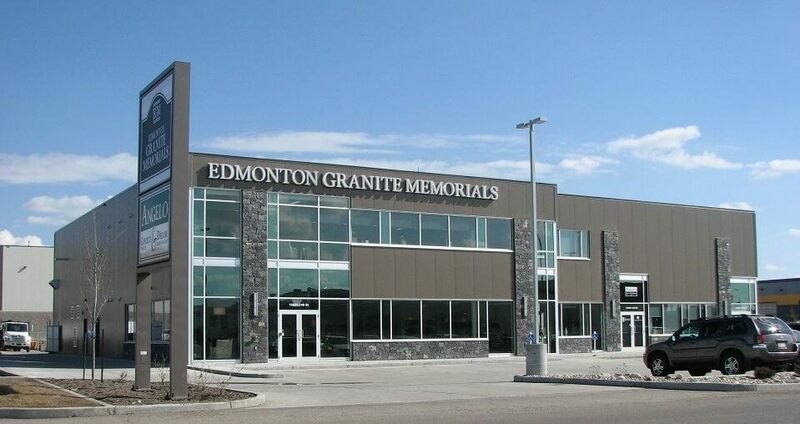 Edmonton Granite Memorials Ltd. has earned the reputation of excellence for personalized custom designed memorials. Our mission is to give each individual the dignity and respect they deserve through ethical and honest business practices. By selling and manufacturing our product at the same location, we guarantee the highest quality in every stage of our business. We’re pleased to announce that as of February 14, 2015, we are now open for business in our new location at 13623 – 149 Street. We are a third generation family business owned and operated by the Kokolski family. For over 55 years we have served our local community and western Canada. Thank you for the guidance and pleasant service I received during the process for a purchasing a headstone. I really appreciated the transportation to and from the location.